Do You Have a “Word” for 2018? 2018 has been filled with the unexpected so far—from new projects to my catching the flu. Because of this, I took a couple hours to brainstorm for a way to re-balance my writing life (and a couple other aspects of my life that I have ignored or not given enough time to). I was delighted to figure out a way to slow down and get back to a regular writing schedule. One creative way of starting off a new year is to pick a word as a theme for the year. Every new year, I see more people picking their “word” for the year–have you? It’s better yet to notice a word that has “picked you,” especially when the word is from the Scriptures. I have never done this for a whole year, but during every monthly retreat, I try to pick a verse or phrase from the Bible that will inspire me for the whole month. The Gospel of John takes its use of the word a step further, encouraging us to go even deeper. The author of John uses “Behold” specifically to invite us to perceive the upside-down-ness of God at work in the world: this Gospel uses “behold” only when speaking of something that upsets human expectations. In John 17, Jesus uses this term to speak about his glory, which will be his offering of himself on Calvary in order to save humanity. In John 19, Pilate tells the crowd to behold their “King,” as a way to mock Jesus—but unknowingly he speaks the truth about the King of all humanity, the King of love who will give his life for us. Also in John 19, Jesus gives Mary and John new identities: Mary becomes the mother of John, and John becomes Mary’s son. We know that here, too, we need to look deeper. Jesus is doing more than entrusting his widowed mother to the care of a young man. He is asking Mary to become the Mother of the Church, and he sees in John the beginning of the Church. In giving me this word, I feel Jesus inviting me to be more attentive to him in my daily life, to let go of my own agenda and assumptions that are blocking my vision or preventing me from hearing his gentle invitations to do his will. Long walks has always been a cherished form of exercise for me. At one point, I decided to take up jogging: I could fit more exercise into less time; it was even better for my health than walking, etc. I never became very good at it, but stuck with it for a couple of years. Then one day I went for a long walk. And I realized how much I missed walking. When I jogged, I went too fast to notice everything around me—the flowers, the birds, the color of the sky, etc.—all those things that I enjoyed so much when I walked. This year, I plan to walk—not jog—through each day. I want to pay attention to the things both great and small in my life that I often ignore or forget about. For me, first of all this means that I need to pay attention to what is going on inside of me—my thoughts and feelings—and then, the people and circumstances around me. For some insight, I am reading a lovely small new book by Frederich Buechner entitled, The Remarkable Ordinary. My desire to live more contemplatively has been unexpectedly reinforced by one of our sisters—who is also a dear friend—who spent these first days of 2018 in the hospital and is now in hospice. The smallest details become so significant in these precious days with her—making sure she is comfortable, offering her both the closeness of accompaniment but also the spiritual “space” to prepare herself for heaven. 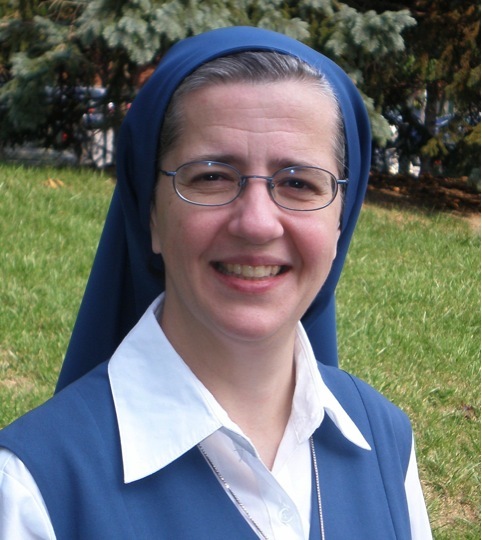 This sister is teaching me how to “behold” God’s presence and blessing in a deeper way, both throughout her life and the years that I have known her, and in these cherished days of her journey to her heavenly homeland. If you’d like, please share your “word for 2018” in the comments below, or on Facebook! Screen time, or time spent using digital media for entertainment, should be limited. No advertisements Children at this age can’t differentiate between real-world and screen-world. In addition to high-quality programs, face-to-face interactivity onscreen (such as Skype or Facetime) is a good choice. The World Congress for Child Dignity in the Digital World has made many of the speeches of the congress available here on the Congress website. 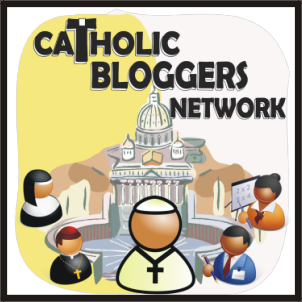 The Centre for Child Protection at the Pontifical Gregorian University in Rome hosted the congress from October 3-6, 2017 . Pope Francis offers his insights into his style as a communicator in today’s world: Pope Francis on Why He Gives Interviews. For Pope Francis, a “real meeting,” means “real conversation.” His best tip? He prays to the Holy Spirit ahead of time to inspire him with what to say. Online Evening Visit with Jesus At the conclusion of our online Facebook Live Novena to Our Lady of Fatima, Sister Kathryn and I decided that we would like to try to offer a simple Evening Visit with Jesus every night at 8 PM at the Facebook page: Ask a Catholic Nun. We are still getting it off the ground, but it’s a wonderful way to share prayer intentions and feel part of a community that prayers together every evening. I hope you can find the time to join us. Meet the selfie-snapping Sisters of Snapchat is a fun article interviewing Catholic sisters using social media! Several #MediaNuns are included.